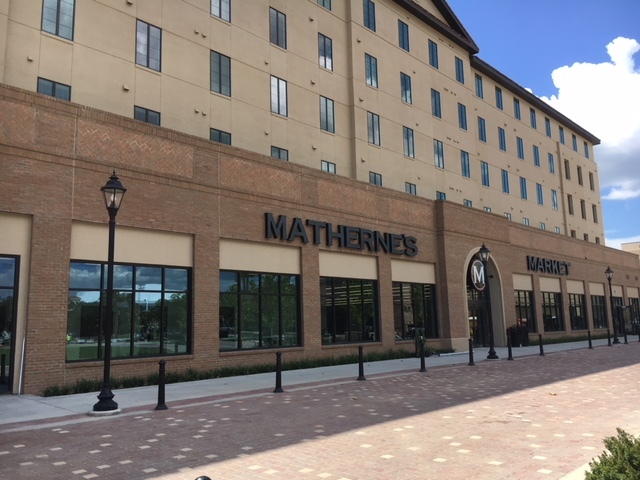 LSU announced today that The Simple Greek restaurant and a Baton Rouge General Express Care clinic will fill two retail spaces in the university’s new Nicholson Gateway Development, the newly opened mixed-use development on a 28-acre site of the Nicholson Drive Corridor, between West Chimes Street and Skip Bertman Drive. The two tenants join anchor retailer Matherne’s Market, fast food restaurant Wendy’s, coffee café Starbucks, apparel store Private Stock and quick-service eatery Frutta Bowls in the roughly 50,000-square-foot retail component of Nicholson Gateway. The Baton Rouge General Express Care facility will be open seven days a week to the LSU and local community to treat serious, but non-life threatening illnesses and injuries. The clinic will also feature a lab, X-ray machine and an EKG for more serious injuries. For more information, visit BRGexpresscare.com, find on Facebook at Facebook.com/BatonRougeGeneral and follow on Twitter at @BRGeneral. Opening its first Louisiana location, The Simple Greek is an interactive concept that combines hhigh-quality ingredients, open kitchens and a fun atmosphere to deliver authentic Greek cuisine in a fast casual setting. Inspired by a concept through his CNBC reality television show “The Profit,” The Simple Greek was founded by entrepreneur Marcus Lemonis in 2015. The LSU Property Foundation, an affiliate of the LSU Foundation, is facilitating Nicholson Gateway. Stirling Properties is serving as the retail developer and leasing broker on the project, working with the prime developer, Georgia-based RISE Real Estate, which specializes in student housing. Stirling Properties will also handle ongoing retail property management. New this fall, Nicholson Gateway includes 763 units of apartment-style housing for more than 1,500 students, with associated residential support spaces, such as lounge spaces, study areas, community gathering places and retail food service. The project, focused on the largest underdeveloped tract of university-owned property that is adjacent to the campus core, will turn what has traditionally been the back of the campus into an exciting new gateway district while responding to demands for on-campus housing and supporting student success, improving the campus living experience for both undergraduate and graduate students.